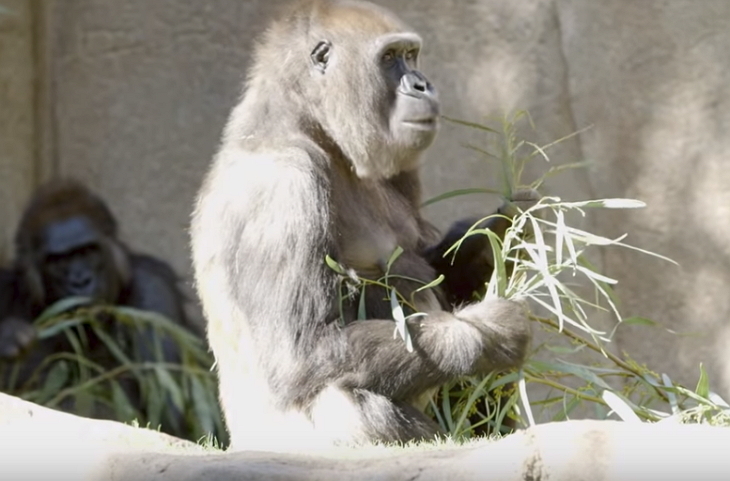 The San Diego Zoo was thrilled when Imani the gorilla became pregnant. Unfortunately, she began experiencing complications during labor and was rushed into surgery for an emergency cesarean section. Her absolutely adorable daughter was born safely, but needed extra medical care immediately. 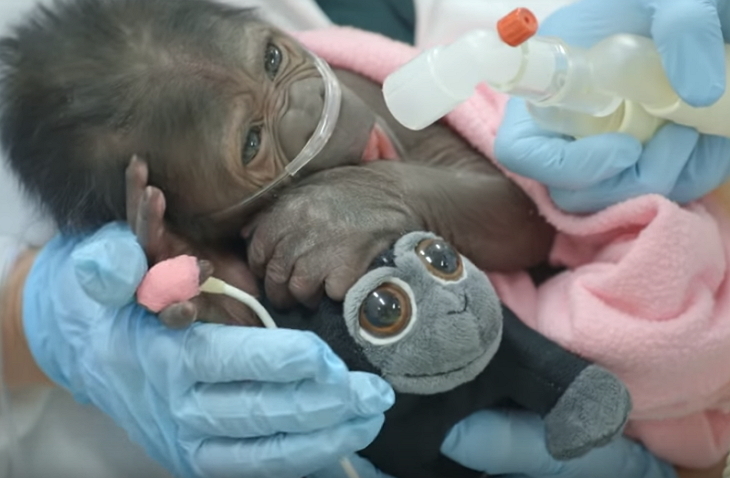 Her caretakers gave her a stuffed gorilla to clutch, cradled her in pink and blue blankets, and tenderly administered her antibiotics and oxygen. It took eight long days, but finally, the baby girl was able to have her intravenous catheter removed and the oxygen turned off. She also had wrapped up her course of antibiotics. Meanwhile, her momma had returned to the gorilla house where she was reunited with the rest of her group. Zoo veterinarian Jeff Zuba said Imani was acting perfectly fine just 12 hours after her surgery. As she munched on grass, her baby gulped down infant formula in bottles back at the veterinary station. Finally, 11 days after she was born, the baby gorilla was strong enough to travel from the veterinary hospital to the gorilla house to meet her mom. Imani lumbered straight up to the gate and peered through it at her baby. But she couldn't hold her daughter just yet. The very next day, caretakers decided to place the baby on a pile of hay inside Imani's enclosure to see how she would react. They had been apart for a very long time - would their reunion go well? The baby's life depended upon it.